We pride ourselves on providing all customers with a warm, safe and comfortable environment, where they feel secure and truly at home. Each rental location is supported by an experienced manager who takes care of building maintenance and gardening, and will provide you with information and support when needed. Living with Anchor you will no longer have to worry about day-to-day matters such as external building maintenance, gardening, building insurance or window cleaning, leaving you free to enjoy the things that matter most to you. They also offer a helping hand if you require an urgent repair, in an emergency, or have any questions about bill paying, security or personal support. Our managers will provide information, advice and support to you during the lettings process and throughout your tenancy with Anchor. They will meet with you to discuss your needs and provide support and advice about where you can get assistance in your local area. In addition to our managers, all our rental properties are supported by Anchorcall, a 24-hour emergency call telephone alarm system and secure door entry system. Installed in your new home, Anchorcall will allow you to call for help whenever you need it, whether that be help summoning emergency services assistance, an emergency repair or advice and reassurance. Anchorcall is monitored by our friendly, well trained staff, who have immediate access to all customers' details and can respond quickly and appropriately 24 hours a day, seven days a week. All properties are built to high safety standards with doors and walls designed to slow the spread of fire. Peace of mind is also ensured through monitored fire and smoke alarm systems throughout the building and every scheme has a fire procedure telling you what to do if the fire alarm sounds. Some Anchor retirement properties for rent also offer extra support from trained care staff 24-hours a day. This can include a wide range of domestic and practical support. Find out more about our housing with care here. Your independence is important to us. If your needs change with time, we are on hand to assist with any alternations to your rented home or offer you help and advice on the type of housing or care you may need going forward. 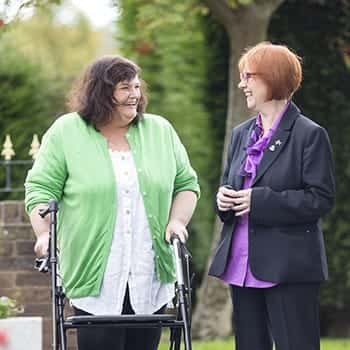 Being England’s largest not-for-profit provider and housing and care for older people means we are well placed to help offer you advice and support should your needs change and you find yourself considering the suitability of your current home. Find out more about how Anchor help meet our customers changing needs.